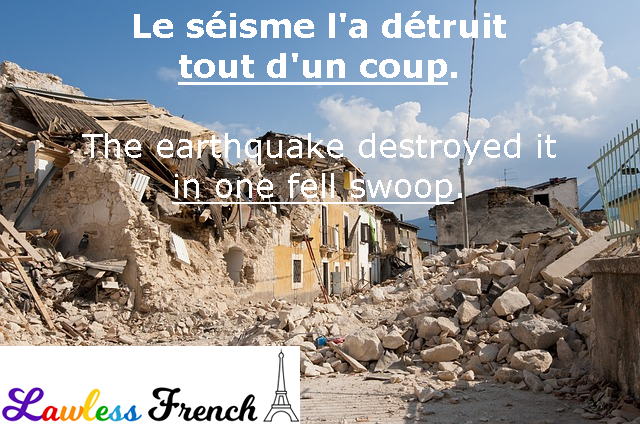 Usage notes: The French expression tout d’un coup is used with two kind of similar meanings, but one of them is wrong. Le séisme a détruit le village tout d’un coup. 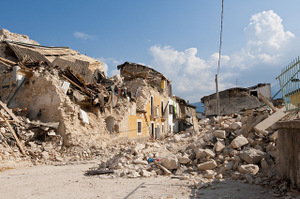 The earthquake destroyed the town in one fell swoop. Tout d’un coup, il a saisi ses affaires et est parti. All at once, he grabbed his things and left. Tout d’un coup is an indicator that you need the passé composé rather than imparfait. Native French speakers commonly – but mistakenly – use tout d’un coup to mean tout à coup. Really means: In a single move, the car flipped over. Really means: I was reading when I had an idea all at once.